Lying is something I have never been good at. My face is incredibly expressive, so I can barely say my day was ok when in reality it was nightmare let alone say something completely untrue. This has been both a blessing and a curse because there are times I wish I could lie and say things are ok when they’re not so I won’t have to deal with them. On the other hand, the fact that I can’t lie to others or even myself has forced me to try to come to terms with things I’m not happy about or need to change. I try to be as honest as I can with every situation I encounter, but some are particularly challenging because I don’t want to face the truth. I believe there are several ‘hard truths’ most people face at one point in their life. The hard part is being honest and admitting the truth, the harder part is figuring out what to do next. No one should wake up dreading the day before it has even started. If you find yourself in a panic Sunday nights because you’re dreading the next day or stare at the clock waiting until you can leave every day…you probably hate your job. And that’s ok; some jobs are really terrible (believe me, I’ve had a few) and are not worth the stress or sadness they cause. The trick is being able to acknowledge that you’re not happy at your job and you need to make a change. It’s hard, it’s scary, but it’s far better putting in the effort to find something else than using all your effort to stay awake at work or not scream at your boss. Whether it’s finding a new job, learning a new skill, or moving to a new apartment/city/country, needing a change is perfectly normal when you find yourself in a rut. Sometimes we can get a little too comfortable with a mediocre life because it’s safe. But a mediocre life is a boring life, so why not shake it up and change something about it? Not all changes need to be as drastic as relocating or changing career paths, simple changes are good too: change your hair, change your routine, or change your location temporarily and visit a new place. Making changes, both big and small, allow us to learn something new and also to put a little faith in ourselves that this change will benefit our life. Having faith in yourself is never a bad thing and it’s something most of us need to do a little more often. This is one of the most painful truths we sometimes have to realize. When the flame dies, the intimacy disappears, and the laughing and kissing turns into fighting or even ignoring, which usually means the love in a relationship is gone. I’ve heard people say “But I still love them” and I’m sure they do, so I usually counter with “But are you IN love with them?” If you have to stop and think about it, the answer is no. Love is not conditional and it is not one-sided, so if you can truly say “I’m not in love with him/her anymore” to yourself, the next step is having the conversation no one ever wants to have. However, it is far kinder to yourself, as well as the other person, to be able to recognize when the love is gone and to go your separate ways. It hurts, but it doesn’t hurt forever. You can tell everyone that you’re over your breakup, your fight with a friend, or your traumatic incident, but only you will know when you’ve really come to terms with it. The thing to remember is there is no time limit for you to heal from some event that hurt you. If you’re not over it, then let yourself continue to grieve. Time is one of the best healers so don’t rush the healing process. If you have friends that don’t want to hear about your breakup for the 100th time, then try getting through it on your own. Also, remember that there’s nothing wrong with seeking help. If something terrible happened to you and it’s affecting your daily life, then seek professional help. There is no shame in doing healthy, positive things to take care of yourself. This can be one of the hardest truths to admit and one of the hardest to fix. I think one thing that makes it so hard is because it can be the catalyst for other realizations about things that need to be fixed. When I realized I wasn’t happy mainly because of my job I also realized I hated my entire job field and needed to find a completely different way to work. When I realized I wasn’t happy with my last boyfriend, I realized I wasn’t in love with him anymore and that I wasn’t happy living in the city I was in and needed to move. 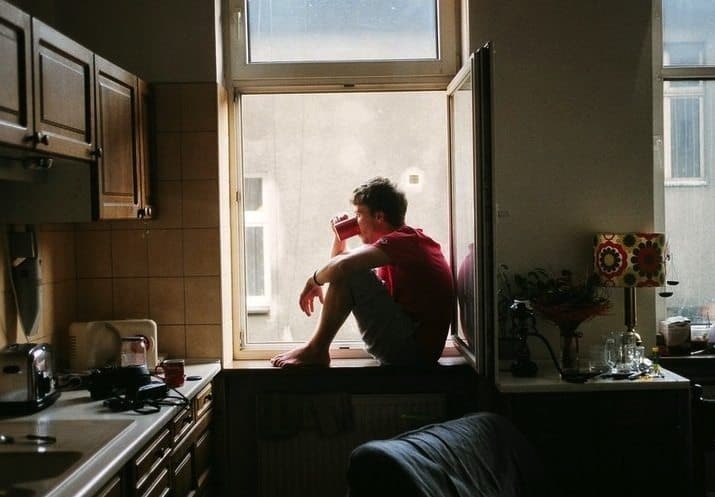 You realize you’re not happy when every day blurs together, when you have to pry yourself out of bed every day because you have nothing to look forward to, when the things you used to love don’t make you happy anymore…the list goes on and on. This is an incredibly personal truth and if you find yourself having to face it, I encourage you to do a ‘full disclosure’ with yourself. Think about everything in your life and which parts make you happy and which parts make you upset, stressed, or disappointed; if you can narrow your view from “I’m not happy” to what specifically affects your happiness, then you can start making changes from there. It is certainly not easy to admit the truth when it’s something undesirable or difficult to change, but being able to admit it and then take steps to change it will bring you far more happiness in the long run. My mom always tells me “what we resist persists”, so do yourself a favor when something is bothering you, and have the strength and courage to be honest with yourself about it. You deserve it!